Dmexco is looming – and with only a couple of weeks before it all kicks off, it's time to get ahead of the game and plan your trip. Get the most out of the event with these top tips. Decide what you want to see at the event before you go – it will pay off. With over 250 hours worth of content, plus a ton of exhibitors, you won’t see everything. Work out the ones you won’t want to miss – if you need some inspiration, check out our guide to the best Dmexco talks. And if you're short of time, we recommend ‘Storytelling in the age of Snapchat’ (Day one, Congress Hall, 17.05 - 17.30). Dmexco is arguably the biggest event for global digital marketers – and with 50,000 visitors descending on the city of Cologne it's a golden opportunity for networking. Make sure your business cards are up to date, and bring plenty of them – now's the time to order up a new batch. 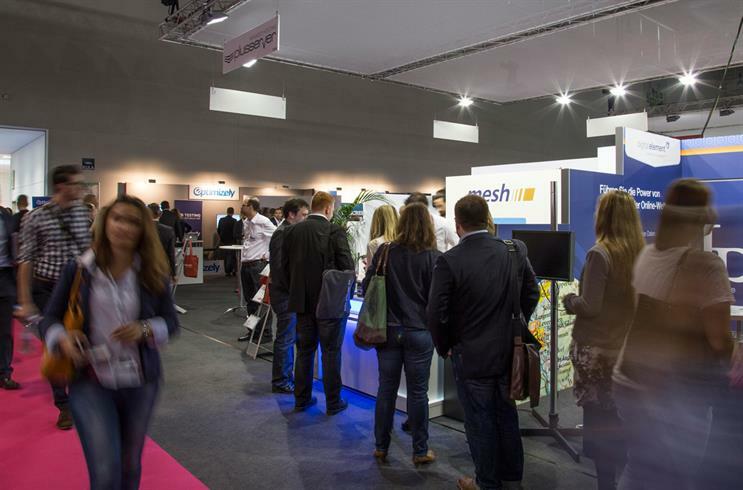 Dmexco is a conference and expo but there are also plenty of opportunities to participate. Work Labs are interactive sessions geared around personal development – so don't be shy, step up and get involved. If you're looking for some practical, personalised knowledge, there's no better place to make your mark. "Of course, the hardware needs to come down in price before we see widespread consumer adoption." "The future of VR is in eye-tracking technology." "James Cameron thinks it's 'a yawn', you know." Nearly a thousand exhibitors won’t let you go home empty handed. Expect to come away with plenty of freebies: from tablet-charging gadgets or glowing gaming toys to free books and other generous give-aways. Get ahead of the game by downloading the official Dmexco app – it features the full programme, exhibitor lists and a hall plan, among other useful information. Actually, at this point you'll be so far ahead of the game that you'll have overtaken Dmexco itself – the app has yet to be updated to the 2016 version, though according to their site the new version is imminent. Keep your wits about you – and your eyes open. The next thing to change the ad-tech world could be buried in the farthest corner of the furthest hall. And make sure you have a plan of attack – don't just plunge in without thinking about what you're aiming to get out of the event. Day 24: Connected Life - What's next for programmatic TV? 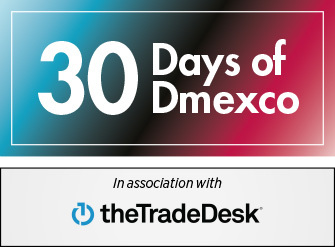 We're counting down the days until Dmexco kicks off – and we've got something new for you every day until the big event. Check back here daily for articles and insights – or just something to stoke your anticipation for the big event. The Trade Desk is a technology company that empowers buyers of advertising. The Trade Desk provides a self-service platform that enables ad buyers to manage data-driven digital advertising campaigns using their own teams across various advertising formats, including display, video, and social, and on a multitude of devices, including computers, mobile devices, and connected TV. Headquartered in Ventura, Calif., The Trade Desk has offices across the United States, Europe, and Asia.